The Bakken Shale Formation in North Dakota is one of the hottest spots in the US for E&P. With an unemployment rate of just 1 percent, the region is experiencing unparalleled growth. In the past few years alone more than 75,000 jobs have been created in the Bakken from new shale drilling technologies like directional drilling and down-spacing. The average salary for workers in the region is an astonishing $112,000 per year. With entry level jobs averaging as much as $66,000, that means there are some pulling in top wages. Here are the 5 highest paying jobs in the Bakken right now. Why are drilling consultants paid so much money? Because they have to be an expert in every field, that's why. Drilling consultants must earn at least a bachelor's degree in engineering and have anywhere from 5 to 10 years experience. It's important to note that these top salaries usually go to the more experienced in their field, sometimes with multiple degrees. A drilling consultant must wear many hats while in the field and will often have his master's, even a PhD. Believe it or not. directional drilling is so in demand that it does not even require a college degree. While having a bachelor's in engineering or even geology certainly couldn't hurt your chances, this field of expertise needs so many workers that requirements are based more on experience than education. While a directional driller can have as little as 3 years experience, those typically making the big salaries have 5 to 10 years or more. A superintendent is sometimes called a Foreman, even a Company Man. Superintendent is a managerial position and involves the oversight of day-to-day operations. Responsibilities include: safety, budget and maintenance, coordinating with the various contractors that work with the company. The position is a senior one which means you need 10+ years experience in the field. 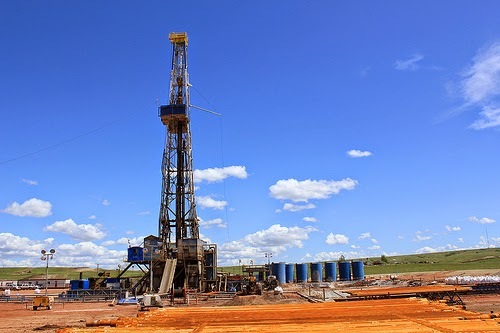 Also known as a Workover Driller, it is the responsibility of the completion driller to set a more permanent rig once drilling has been been completed. This involves inserting piping or tubes into the hole and setting up the infrastructure that will make for the hydraulic fracturing to come. This is a very high-skilled position and requires extensive education and training at the least, sometimes even a college degree. It's the job of the reservoir engineer to estimate potential oil reserves and setup plausible models to determine the best locations and methods of recovery. Other well-paid engineering jobs include a drilling engineer ($142,664), petroleum engineer ($126,448) and mud engineer ($109,803). Come check out all the great Drilling Books at Brown Technical Book Shop.